With festive Thanksgiving around the corner and with November being Diabetes Awareness Month, I really want to make my next couple of posts about how to make this Thanksgiving a delicious and healthy one! 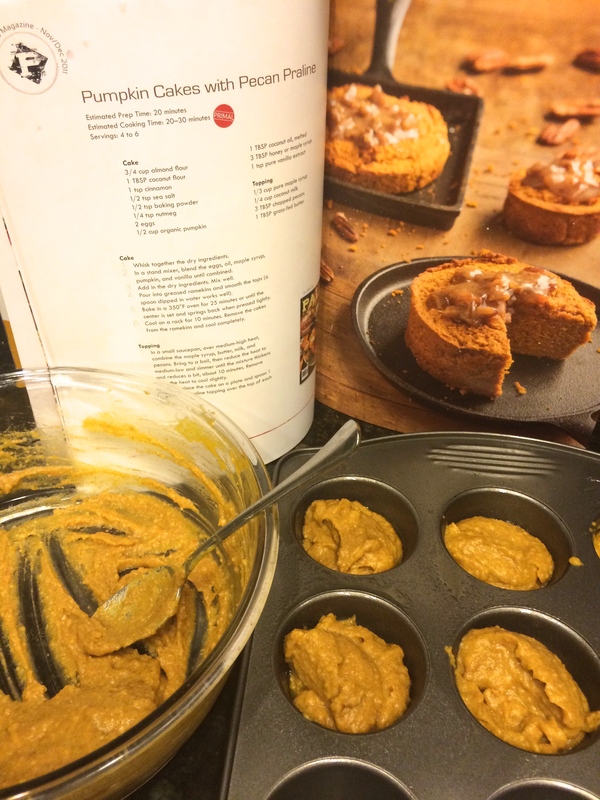 I am creating yummy foods packed with pumpkin, spice, and everything nice… and can’t forget healthy too! 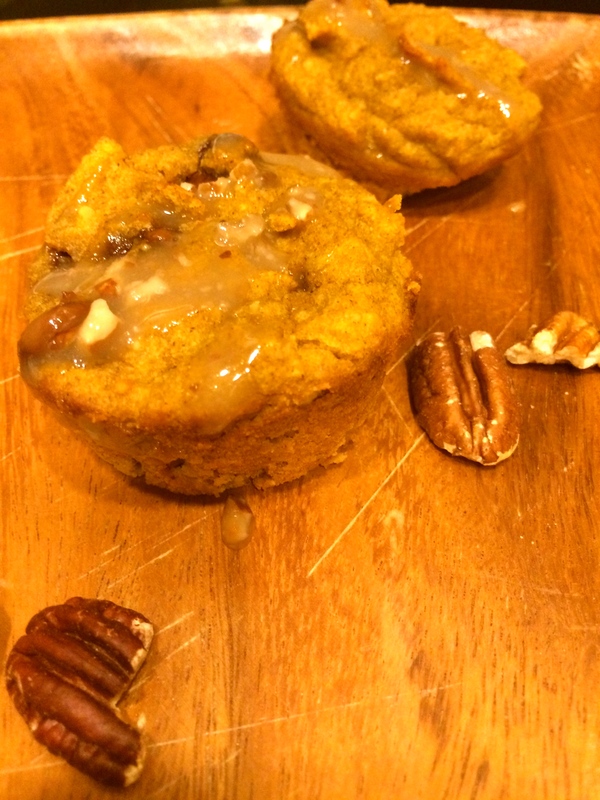 Today’s Thanksgiving featured treats are Pumpkin Cakes with Pecan Praline! I found the recipe on this month’s Paleo Magazine issue. These are amazing because they are paleo, but I have made a few alterations to make them sugar free and low carb too. Perfection for that Thanksgiving feast. 4. Drizzle the topping onto your cake and enjoy! 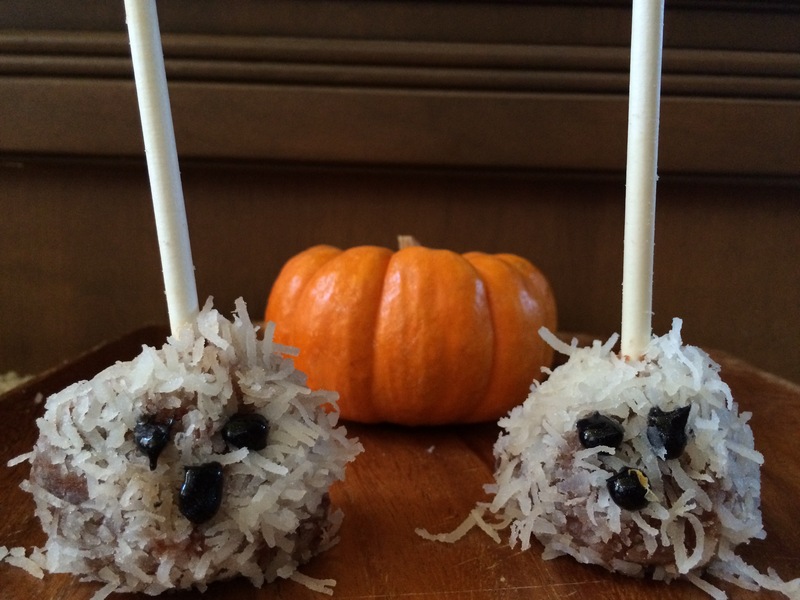 To Trick -or- To Treat? Happy Halloween! Today is the day where we get our adrenalin pumping from spooky haunted houses and indulge in some tastebud stimulating candies. Before diving into those Halloween store bought candies and trick-or-treating sugar boosted treats, I wanted to share my short philosophy. My Halloween dinosaur and I will demonstrate. Here is how a diabetic sees sugary foods and candies.. We do an overwhelming amount of math in our head to calculate how much insulin our body needs at the moment plus how much insulin is needed for the foods we are about to eat. While most others have a working pancreas that automatically does this math for them; we have become our own thinking, calculating pancreas. Well, in my philosophy I look at each sugary food that I am about to eat and contemplate, “Is it worth taking that extra insulin injection to eat this sugary thing that will only satisfy me for a second?” In some cases, yes, but in other cases, no. 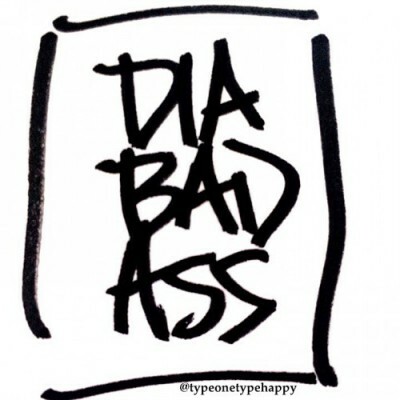 Type 1 Diabetics do not have to stay away from sugar, we can eat whatever we want.. However, it means that we just have to act as our pancreas and inject the amount of insulin needed. I tend to always answer my own question by saying, “No, its not worth that extra amount of foreign insulin and I do not want to take an injection.” I don’t want to mess up my numbers by sending it on a never ending roller coaster of ups and downs. 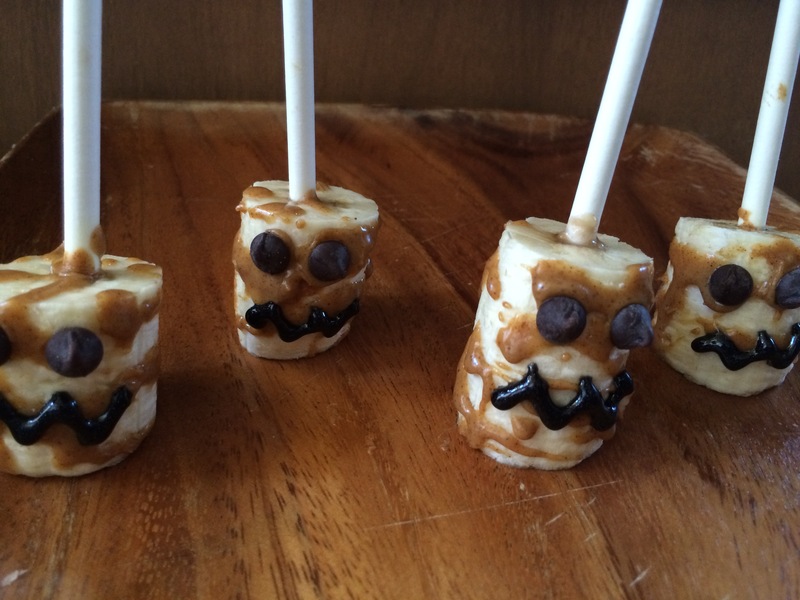 Stick to the tricking and save the treating for some alternative healthier treats! 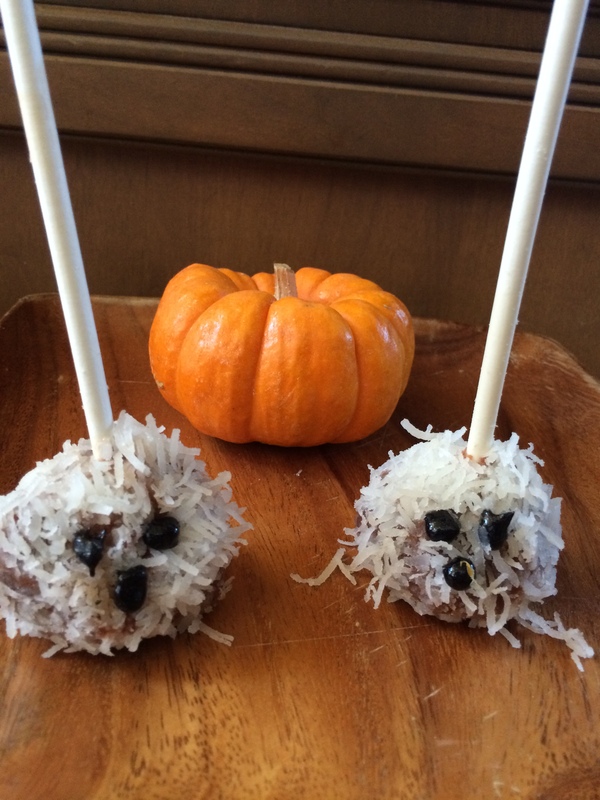 For some ideas, check out my Recipes page.